The launch of Elton John's Farewell Yellow Brick Road tour centered around a marquee event at Gotham Hall in New York City and was designed to coincide with the 60th Annual Grammy Awards. The event was also simultaneously transmitted to venues in Los Angeles and London. 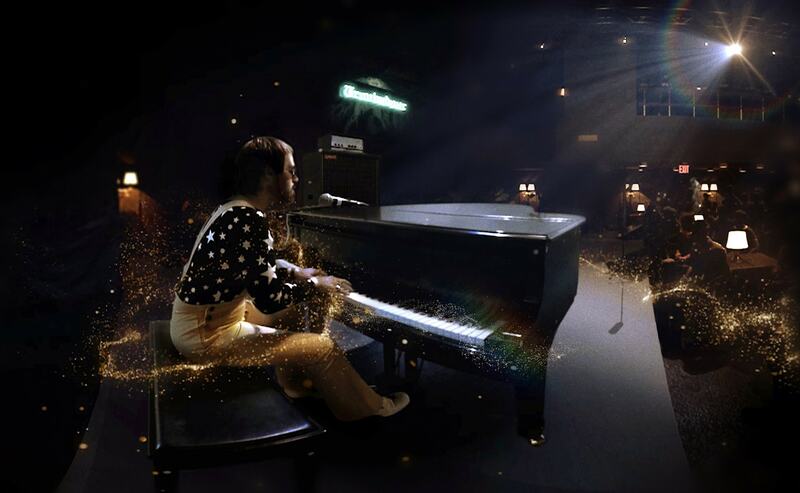 A VR live stream gave fans from around the world the best seats in the house and a rare opportunity to experience key moments in Elton's 50 year career. The event was significant as Elton John announced that this would be his final tour. He intends to stop travelling to spend more time with his family. To mark the event Spinifex group produced a landmark VR experience. Spinifex Group designed a VR experience that would connect Elton’s past with his future. 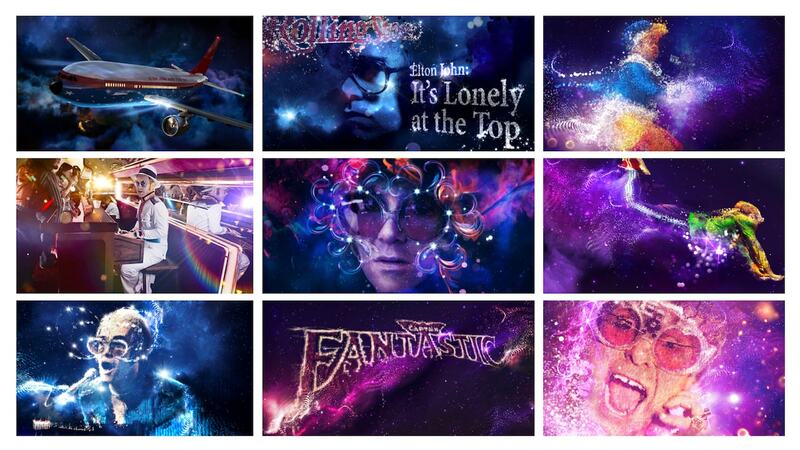 The immersive VR film takes the audience on a journey through Elton's career. The production faithfully recreates some of Elton’s most iconic performances and memorable achievements. The team used cutting edge motion capture and facial visual effects techniques to enable the audience to experience these moments as if they were actually there. "From our use of motion control, live action performance, and motion capture, to our choice of 3d packages, renderers and our 95 gpu / 1.1 petaflop GPU render farm, each technical aspect of this project was considered in the service of fulfilling a vision,"commented Alenka Obal Executive Producer. "First and foremost, our directors had an amazing vision for what this project might be. Our vfx supervisor and sequence leads worked from there to fit the tools to the tasks at hand, making sure that we could realize these visions effectively". What Obal believes the team found is that the production stereo spherical VR toolset for VFX is ever evolving. "Integrating live action and CG in stereo spherical VR is challenging to say the least. Embracing this challenge has deepened our knowledge and certainly peaked our interest for further exploration of VR in our craft". On August 25, 1970, Elton John made his U.S. debut in a legendary six-night sold-out run at West Hollywood's Troubadour. The VR experience starts by re-creating this historical moment, even though there was no footage shot, and only some grainy still photographs to work from. 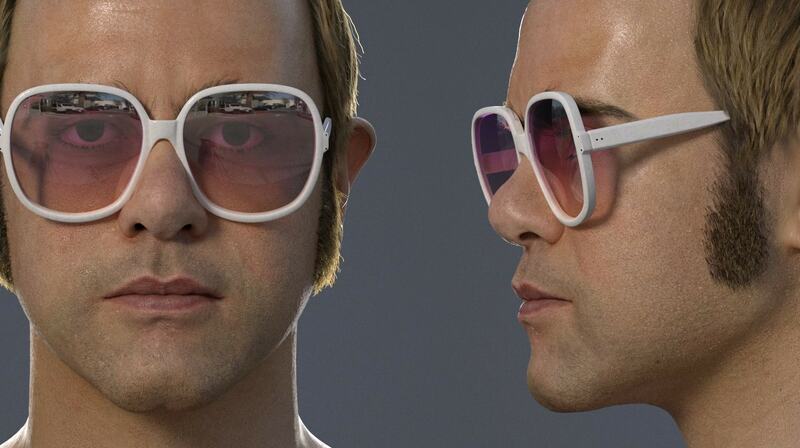 Their solution was to have a body double for the young Elton and do a digital face replacement. Although the Spinifex in-house team comes from character animation/photo real rendering backgrounds, this was their first CG face replacement project. After much consideration and testing, the team decided to use the ZCam V1Pro for filming. A professional grade 360 camera system that utilizes 9 x 190° MFT fisheye lens with iris control. "Our stitched spherical resolution output was a hefty 7k" says Obal. 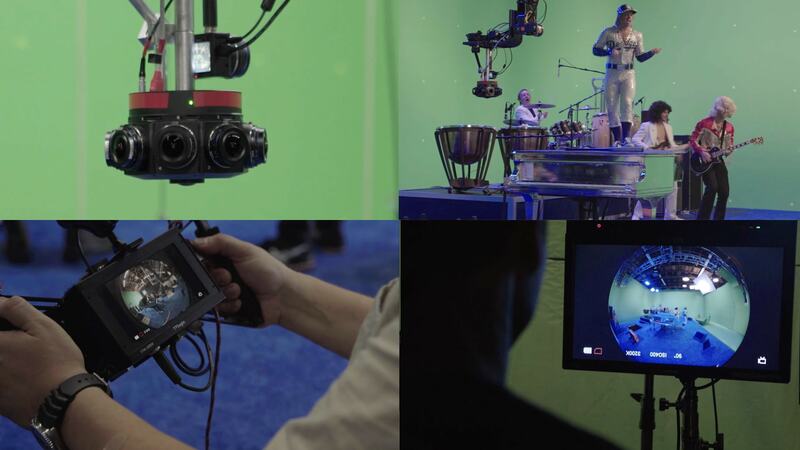 The production consisted of a 1day Motion Capture shoot in the UK and a 2 day Live Action (VR) shoot in Los Angeles, with a 5 day set-up/pre-light schedule. 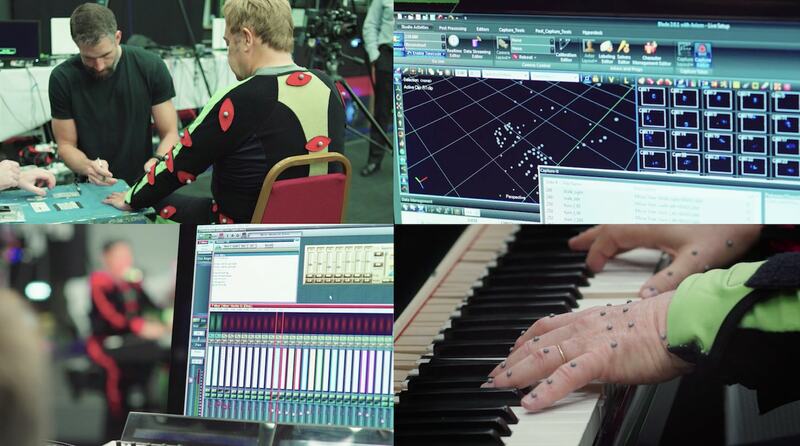 As Elton John was deeply involved in the project, he agreed to provide original motion capture data that would allow the team to make sure the performance of the 'digital Elton' was true to the man himself. 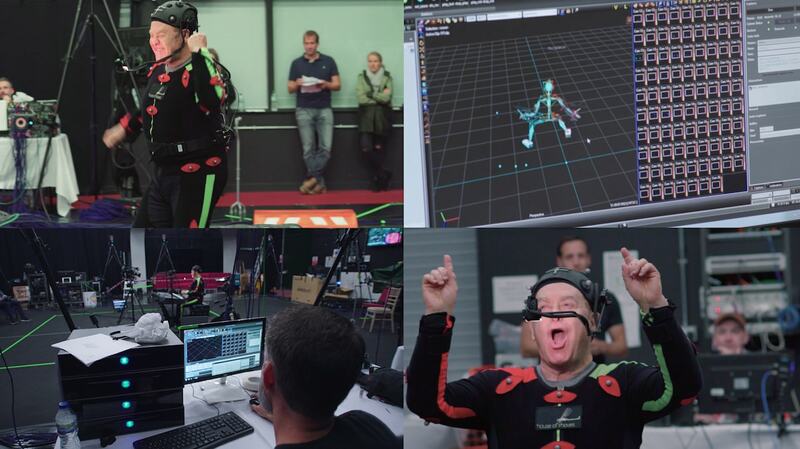 All of the animation work and VR was done in-house at Spinifex, but the team partnered with various specialists, primarily for scanning and motion capture. "Our partner House of Moves was responsible for face and body capture seen in referenced photos above. The body data is going into Vicon Blade (as seen above in the top right and bottom left photo ). Motion Builder was used after the shoot to process all the data" explained Obal. The Road Runner is a mobile full body & high resolution head photogrammetry scanning rig that travels in a fully self-contained system inside an american style RV trailer. The mobile system allows 4DMax to be set up in as little as two hours. 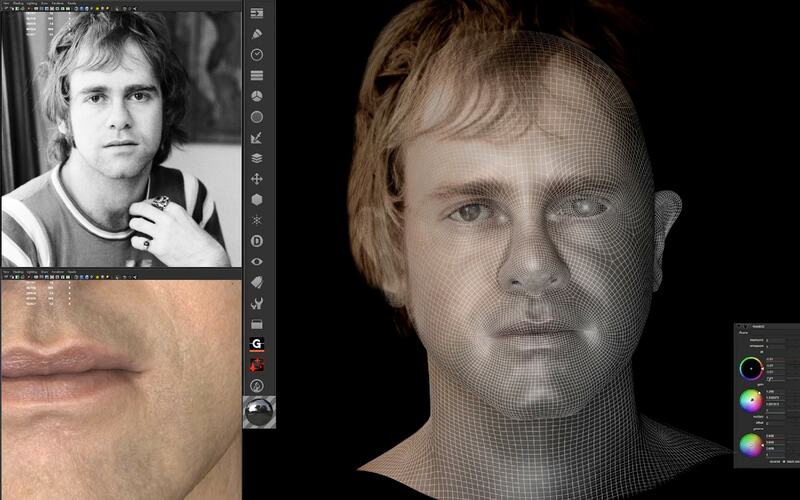 The team partnered with 4D Max (in the United Kingdom) for the 3D scanning. The production used their rig called the Road Runner, which is a full body, high resolution mobile photogrammetry scanning system. 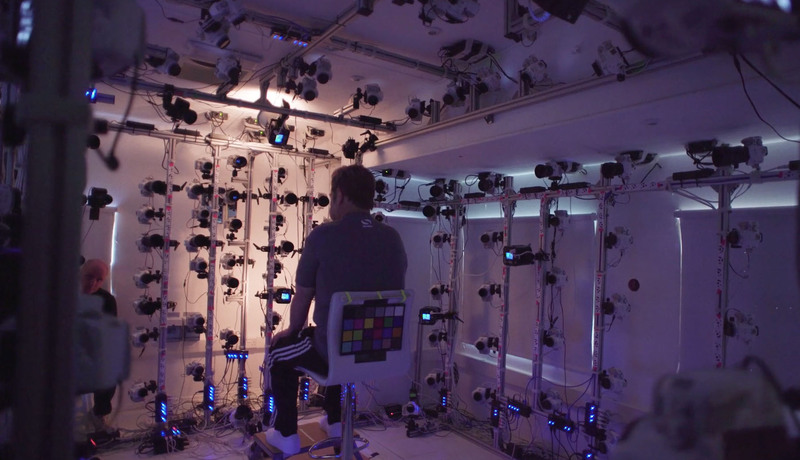 It consists of 162 DSLR cameras, which provide the very high level of detail required for head and body scanning. The system was designed for creating photorealistic digital doubles. "We captured the full set of FACS expressions, which was essential for an expressive 3d animation rig" explained Obal. 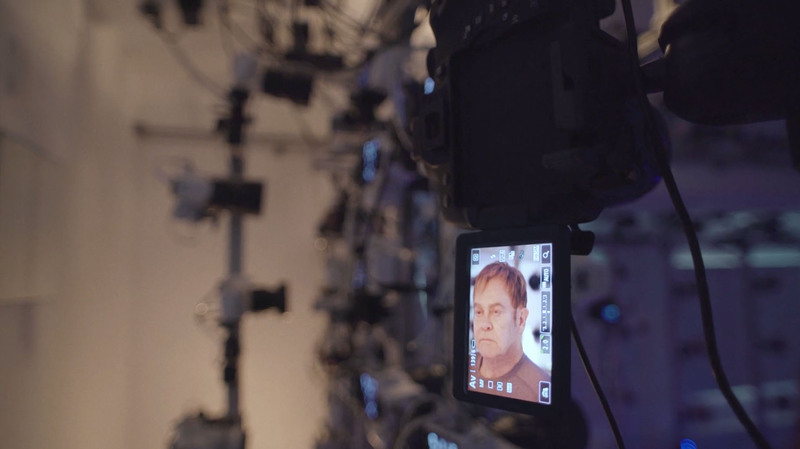 Motion capture partner, House of Moves, created the facial rig that drove the FACS blend shapes via custom controls. The in-house animation team then animated on top of this base rig to refine the capture data. The lead face animators were Kirk Cadrette and Shoghi Castel De Oro. 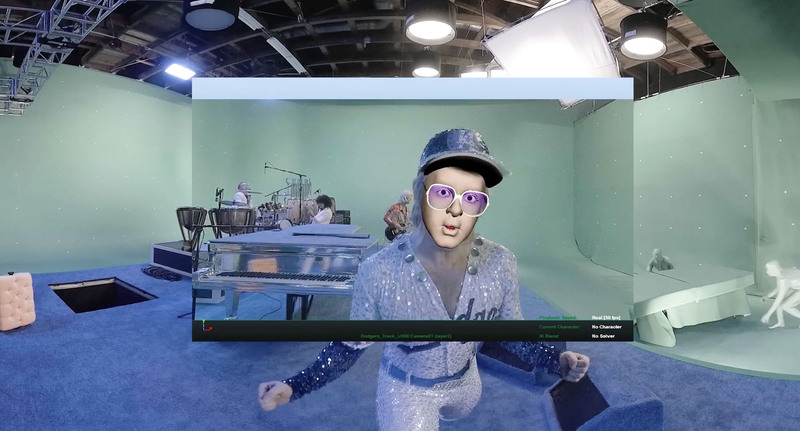 "Our facial animation team fine-tuned the capture data and used hand animation in parts where we wanted to more closely match Elton’s performance in Troubadour and Dodger Stadium", adds Obal. The production pipeline consisted of several different packages and plugins, depending on the scene and the artist’s preference. Particle animation was done in C4D with the MoGraph module. Turbulence FD was used for volumetric fluid simulations and volumetric rendering was done in RedShift for C4D. Some of the additional particle work was done in Nuke as part of the composite. The final renders were in V-Ray, and then composited in Nuke with CaraVR. The environment was rendered with RedShift and composited in part in Adobe After Effects. 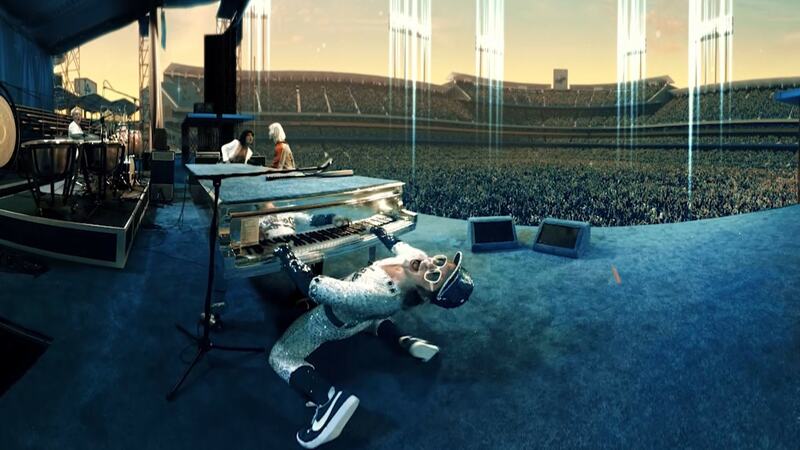 Not only did the team need to create a digital Elton in the intimate Troubadour club but also Elton's famous 1975 stadium spectaculars in LA. On Oct. 25 and 26, in 1975, Elton John performed two sold-out shows at Dodger Stadium. Elton John played a 10-song opening set that featured several album tracks before returning in a sequined Dodger uniform for a hit-laden second set that heavily highlighted his No. 1 album of the time, Captain Fantastic and the Brown Dirt Cowboy. His concerts, outrageous costumes and stage antics, were already well known and this concert pushed him to rock legend status. The team decided to reproduce the historic moment in front of a vast 55,000 person crowd, for Elton's Saturday Night's Alright for Fighting. 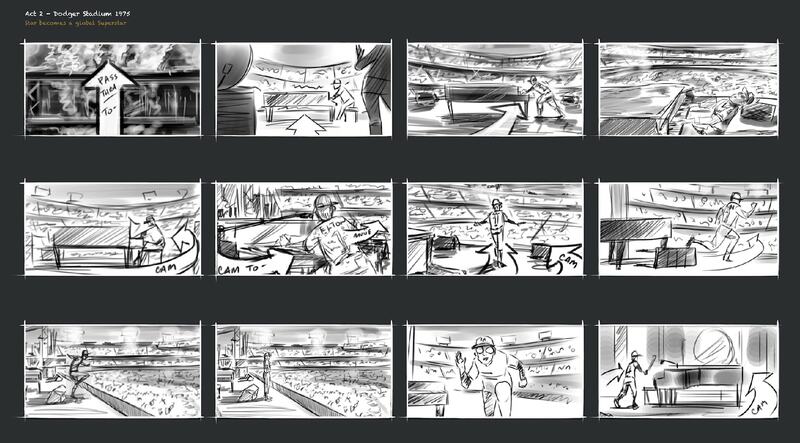 Recreating such an iconic moment was not easy and the team did extensive research and story boarding to recreate the epic stadium shots. The stage sequence was a combination of live action greenscreen, face replacement and CG. (Above: a temp test / post viz look at the face replacement). 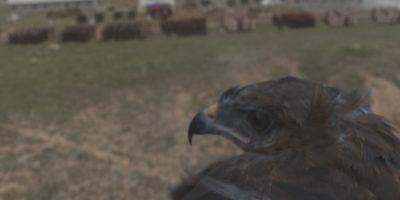 The final output of the project was delivered as 30fps at 5120 x 5120 resolution, the total piece is 6 mins in duration. When the 70-year-old British entertainer, revealed his plans at a gala New York event, he said he planned to "go out with a bang" with a global tour. He kicked off that tour with a mini-concert and Spinifex Group virtual reality presentation about his career and in that way he signalled that while he was looking back and still had one eye to the future. I know this website isn’t for grim criticism by the authors, and the features are often tied to promotional efforts that demand that the crew strain to avoid those sorts of sentiments…. 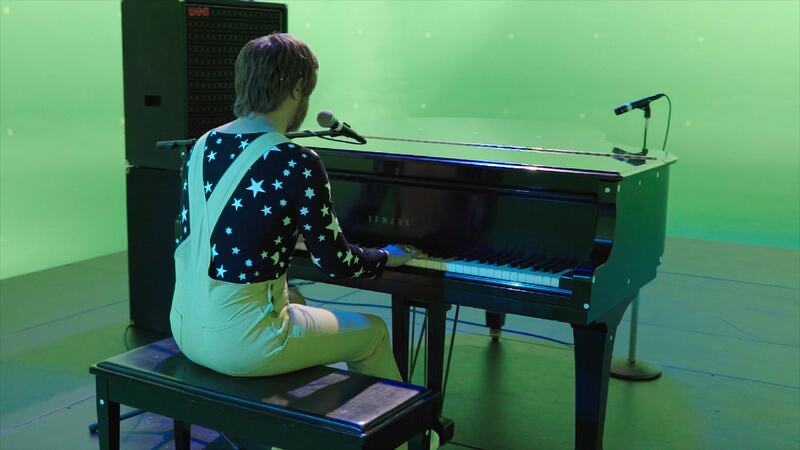 It’s not like….they were already paid for this by Elton. Now they’re trying to do some extra promotion for themselves, but it’s on a site where the audience knows these words and processes to some degree, and can see how their application here misses the mark considerably. It’s the old convergence of art and commerce, and I’m trying to appreciate that as I appreciate this site and its specific funding needs. But dang, ya’ll. This write up didn’t reflect well on *any* of the parties involved. Very much including the website I count on to demonstrate an awareness of how the effects came together in the final product. At the very least, I sure hope Spinifex’s management isn’t using this interpretation as a guide for future efforts. Just FYI, this and every other article on the site is from us and not ‘funded’ or paid for… but thanks for the post and your opinion. Truly inspirational and impressive work! Hope to see more from Spinifex in the future! Congratulations to everyone involved !! Have you any spherical stereo VR face replacement vfx to compare this to? Do you know anything about the challenges inherent in doing vfx in stereo spherical VR? Are you able to compare this project’s budget with a comparable project? Sometimes “effective” is a term best suited for how successful a product is in it’s objectives. Take a look at ticket sales for EJ’s upcoming tour and those sales broken down by age. Thanks for posting this.Have you seen the making of videos? At the press event they handed out 100’s of VR headsets! Looks like they were Samsung Gear’s, which would have each needed a phone with the correct app on it. It also looks like they were simultaneously broadcasting the video to each headset. Wow! Any idea on how they did this, or what equipment, software they would have used. I’d love to know more.